At a recent national conference where I was speaking, someone asked me, “Do I really need a cover letter these days, even when a job ad doesn’t ask for one?” I touched upon this point in an older post, so let me elaborate some here. 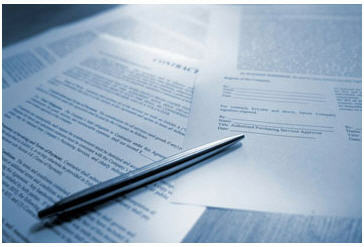 Some hiring managers think that a cover letter is a waste of time because they don’t get read. Well, they often don’t get read because most are poorly written and are created more as an afterthought instead of being developed with purpose. Done correctly, a cover letter is another document in your portfolio that attests to your professional expertise and your brand. It summarizes in a high level–with a touch of marketing panache–the accomplishments and capabilities detailed on your résumé with only minimal explicit verbatim repetition. The best cover letters are written after the résumé has been polished much the way the preface of a book is written after the manuscript is finished. The résumé provides the raw materials for the cover letter, the purpose of which is to get the hiring manager to look at the résumé. Hiring managers that don’t read cover letters and go directly to the résumé often miss out on a candidate who may be a notch above the competition simply by how they sell their professional brand in the cover letter. If all I do is scan résumés, then I’m just looking for another employee; I may inadvertently pass over the problem solver, the solutions provider, or the game changer my team or company needs. The cover letter is another form of documentation in your Professional Skills, Knowledge, and Experience (PSKE™) Portfolio that attests to your professional brand. For consultants, the letter of introduction serves the same purpose as the cover letter and contains the same underlying message: I understand your business and the issues you face every day; when you need that value-add professional who has a demonstrated record of accomplishment and success, you call me. It must speak to the hiring manager’s needs, not your own. You do that by following the rule of thumb that says your cover letter should have more instances of the words you/your/yours than of the words I/me/my/mine. Even the one-sentence underlying message in the previous paragraph speaks to the hiring manager’s needs with more instances of you/your than I/me (4:2 ratio). That’s just simple advertising copyrighting put to work in your cover letter. Quantified accomplishments pulled from your résumé communicate to the hiring manager that you do, in fact, have a proven track record (just saying so without the evidence to back it up is a far too common problem). Hiring managers understand numbers more than words. The number of arrests you made as a government agent may not mean anything to a hiring manager in the private sector, but your success rate (percentage) certainly will. Rethink numbers using the hiring manager’s criteria. You have 5 to 7 seconds to get a hiring manager’s attention with your cover letter. You don’t do that by beginning with, “Please find enclosed my resume…. “ You start it with a rhetorical question such as, “Do you think that Company ABC would want a financial risk management professional who has accomplished the following: “ and then you follow that with a bullet list of quantified accomplishments pulled from your résumé. Leading with a rhetorical question whose only rational response is “yes“ is a tactic that has you escorting the hiring manager deeper into your cover letter and the other accomplishments that support your contention that you are the perfect candidate. You can put on your assertive unabashed self-promoter hat when creating your cover letter but only if you have the quantified accomplishments to back it up. Writing something like, “When you need that proposal writer who has garnered more than $30 million in government grants and awards, you call me: John Doe“, it is perfectly legit if that claim is on your résumé. But without the evidence to support that assertion, you’re just “all hat, no cattle“ as they say here in Texas. Always take control of the follow up in your closing paragraph. Never write about “hoping to hear from you“ or “thank you for your consideration.“ Tell the hiring manager you will call in a few days to discuss further how you are that value-add professional for the position–and then follow through with the phone call. Whether you speak to the hiring manger directly, to voice mail, or an administrative assistant matters not. Taking control of the follow up gets your name across the hiring manager’s desk again. And keeping your name out front throughout the entire hiring process–especially after interviews are finished–is a key to improving your chances of getting the job offer as I detail in Confessions of a Hiring Manager Rev. 2.0 (Second Edition).